Mike James Media™ "Modeling with MODO, Volume Two"
This set focuses on modeling, texturing, and rendering in MODO. It's an intermediate set of tutorials for those that have done some 3D modeling, whether in MODO or another 3D application. 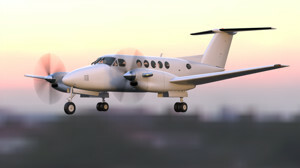 The King Air B200 was built entirely in MODO, using a combination of sub-d and hard-poly modeling. I'll take you through the whole process of obtaining the documentation, making it MODO-ready, and ensuring that everything remains accurate, during assembly. Sometimes a single component of a project can be a major task by itself. 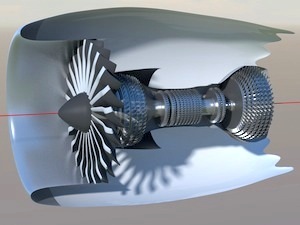 I'll show how I went about creating the General Electric "GEnx" high-bypass turbofan engines for my Boeing 787-8 project, starting from scratch. As always, my approach to these models is a "top down" method. This not only makes sense from a logical point of view, but (assuming that the model will become more complex over time) it's a way to guarantee that you don't run out of resources early in the game. When you have a project with a lot of scope, it usually isn't possible to do every render at MODO's high-quality settings. If you're charging the client by the hour, they'll appreciate the savings as much as you appreciate the savings in render time. 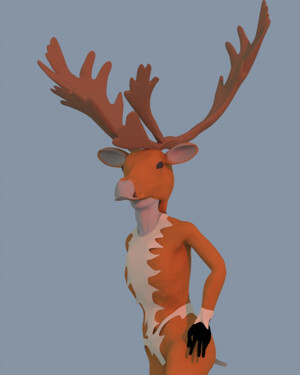 Still, it's wise to include some high-quality renders, so they know it's possible. I've included a section on my methods for communicating the "tech" info, without overwhelming them. because sometimes they need to know the "why" behind various methods. If you have the time to do all the details you want to do, using geometry, great. 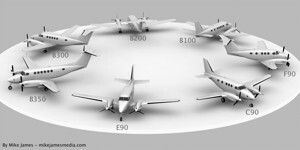 But when working for a client, you'll have to balance the need for geometry with the wise use of images and textures. When done intelligently, it can be quite convincing, and both you and the client will appreciate the time savings. 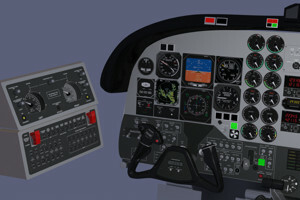 For this project, it was known in advance that many cockpit functions would be animated, but it wasn't know specifically which items. 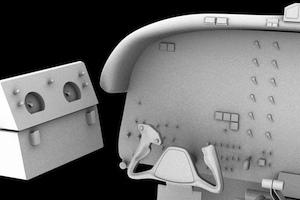 So, I created a separate file for the cockpit area alone, added what was required as we went through the project, and later imported the finalized cockpit back into the master model. It was important to balance the difference between scale accuracy and clarity, throughout the project. So, while we adhered to engineering drawings that the students would be familiar with, we simplified most systems, to improve the clarity, and separated them into several files, for separate presentations. This kept them from becoming visual overkill, and served the purpose better than realistic renders would have. It's the students themselves who have requested 3D in the classroom, and so once added, it could be thought of as an "extra feature". So, some realistic renders were in order, to satisfy that need. I used a combination of environments, HDR photography, and straightforward "normal" digital photography to accomplish that, and will show you my very simple methods. 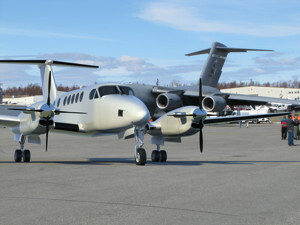 Although the focus of this project was the King Air "B200" model, there were six other variants created, for later use. 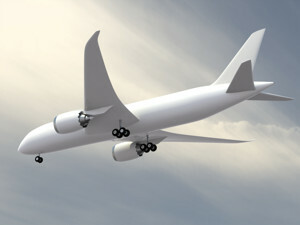 Thanks to the solid industrial design of this aircraft series, this was far simpler than you might think. I'll show you how this was done economically, while satisfying what the client needed. I started these two (Boeing 787-8 "Dreamliner" and Gulfstream G650 business jet) at a time when neither aircraft had flown. I had to put them aside for a while, when I realized there simply wasn't enough documentation. 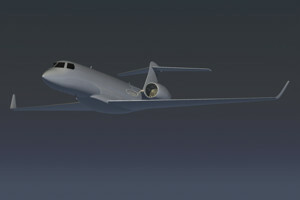 Now, the actual aircraft have both completed their maiden flights, and the amount of information and photos has grown rapidly. So, I'm returning to finish them both. Here's a chance to see what I do early in the modeling process, to allow for future growth. Each model has unique challenges, and I'll show various methods to deal with these problems. 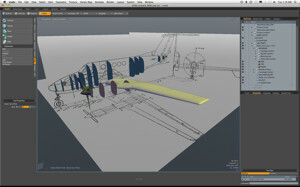 (like windows, on the airliner, for example) These two tutorials are good for those not familiar with scale modeling, but interested in the process. I'll show you how I work, "from the outside, in", so that each step gets finalized, scale-wise, before moving on. Regardless, save backups! Fortunately for me, I live in a neighborhood of artists, and one of the most prolific ones is Sheila Wyne, (sheilawyne.com) She typically does very large indoor and outdoor installations. She does the art, and I do a 3D visualization of it, so that engineers and architects can focus on assembly and installation issues, making sure they're both safe and secure. It's a real "right brain/left brain" exercise, capturing at least some of the basic artistic nuances, while maintaining technical data for the installation. I live in Alaska, so outdoor installations must be secure, weatherproof, and safe from earthquakes. Indoor installations are equally important for safety and earthquake protection, but also have to consider what's available at the venue, support-wise. 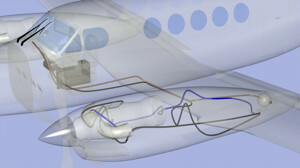 Documentation was an important for all these projects as for any "technical" project, like an aircraft. We used photos, physical measurements, and were meticulous about the scale and proportions, as with any other project. The trouble is… It's a lot more difficult to measure something like a tree branch, than a typical machined part. I'll show you my methods, which worked well. The obvious advantage for Sheila was that she could get some 3-dimensional feedback on how the installations would look, before the pieces were every fabricated. 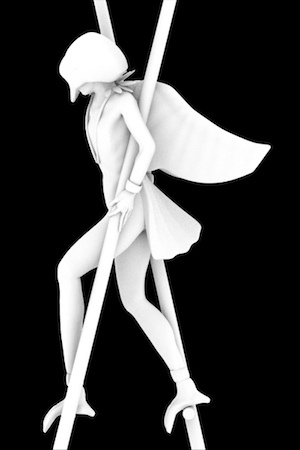 These projects used MODO's sculpting tools extensively, in many editing sessions with the artist. Some starter information was obtained from photographing and measuring her scale models, then refined in many meetings, where the artist described changes, while I did them in front of her. This was a pleasant process… Not the dreaded "client peering over your shoulder" syndrome. 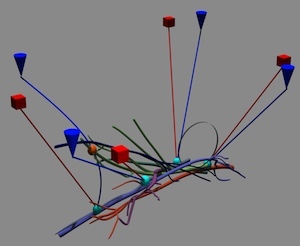 It was certainly challenging, since I haven't done a lot of organic modeling, but educational. Being forced to do things differently is good for all of us, and adds to our skill set. Sheila had an usual project in mind, involving the use of a large number of (organic-looking, (but fabricated) wooden and aluminum parts, for a project called "Spore". If you have a look at the image here, you can imagine how hard this project might be to visualize, either as small scale model, or on paper. None of this is "random". There were potentially a huge number of interference issues that had to be checked and eliminated. This piece is about 10 feet tall. In this case, we made measurements of the parts to be used, and then, under Sheila's guidance, assembled the model in 3D. That let us know for sure that the interference issues were solved, and also let her experiment with rotating and moving various parts, for artistic effect. This was a practical use for 3D, in advance of the actual artwork, and also serves as a reference for the engineers later. 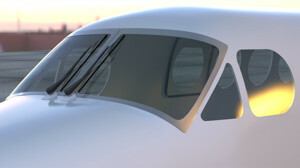 Exterior basic model of the Boeing 787-8 "Dreamliner"